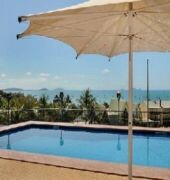 The Whitsunday Terraces combines a beachfront location and great views with comfortable and great-value accommodation. 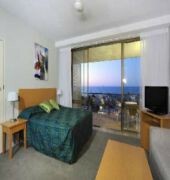 The complex amenities include a swimming pool, a hot tub and BBQ facilities surrounded by lush tropical gardens.All the studios and suites have magnificent ocean views from their large balconies. 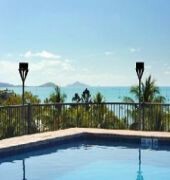 They also feature air conditioning and kitchenette facilities.Ideally located in the heart of Airlie Beach, Whitsunday Terraces offers easy access to shopping, restaurants and the beachfront lagoon.The Whitsunday Islands are perfect for snorkeling, scuba diving, sailing, fishing, parasailing and sea kayaking. They also lie next to one of the world's great wonders, the Great Barrier Reef.